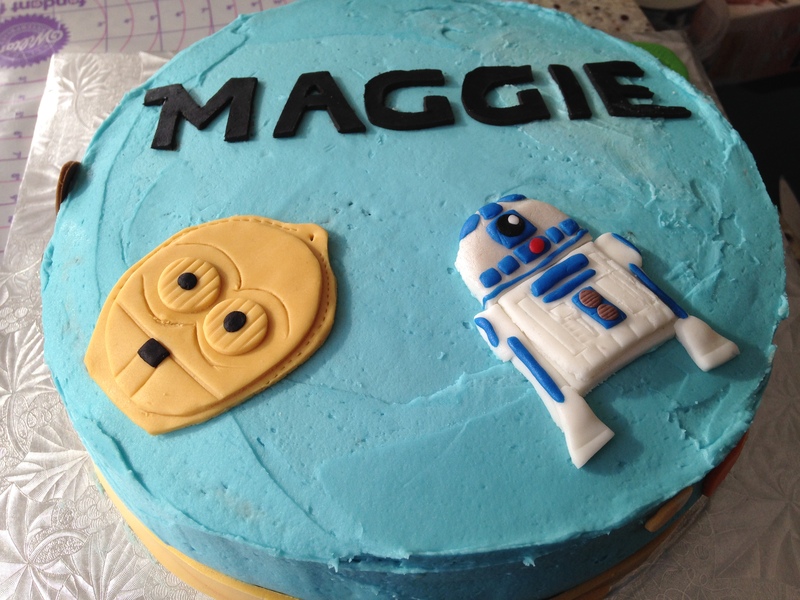 I was recently asked to do a Star Wars themed birthday cake for a young padawan named Maggie. Excited, I was! And while my ambitions and creativity expanded to a galaxy far, far away, timing and — let’s get real — my abilities would hold me back. 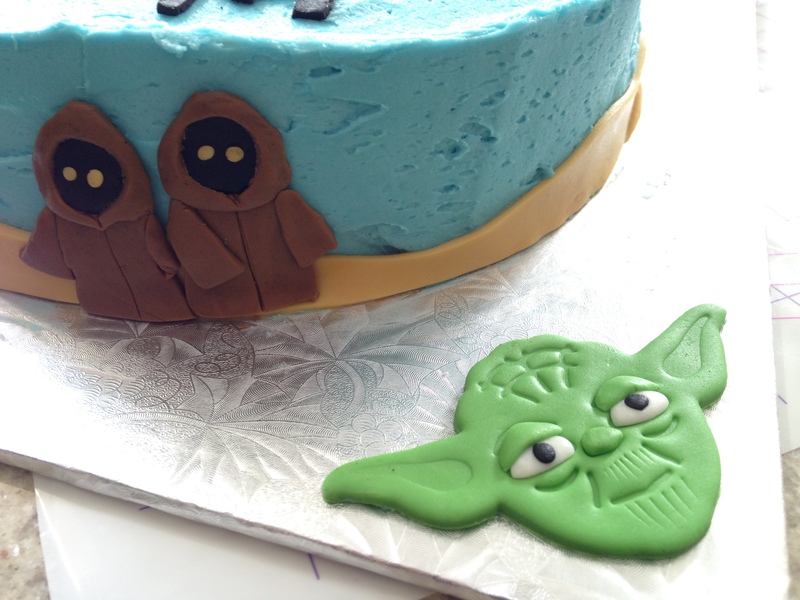 But, you can do a lot with a little bit of fondant and a catalogue of Star Wars characters. 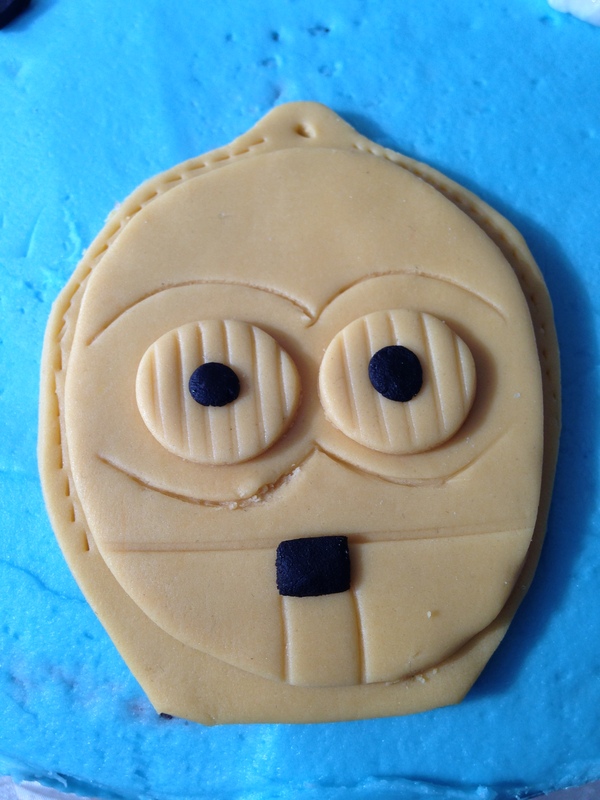 Lucky for me, someone gifted me with a set of Star Wars cookie cutters and with some extra fondant to give dimension to his eyes and nose, a confectionery Yoda was born! The others, however, required a little more fun and attention to detail. The setting along the side of the cake was of Tatooine (not pictured is the planet’s dual suns over the horizon). 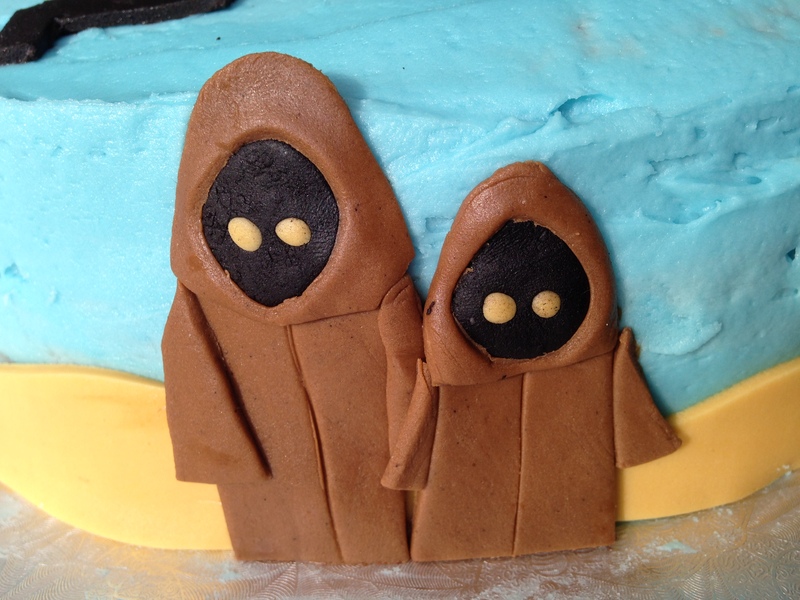 I was going to go with a non-figurative representations of jawas but then I remembered this is for a kid’s birthday… and without sleeves they were essentially erect penises on the side of the cake. C-3P0 was enormous fun to build! His detailing was very simple and translated well into fondant. But what’s a 3P0 without his R2? 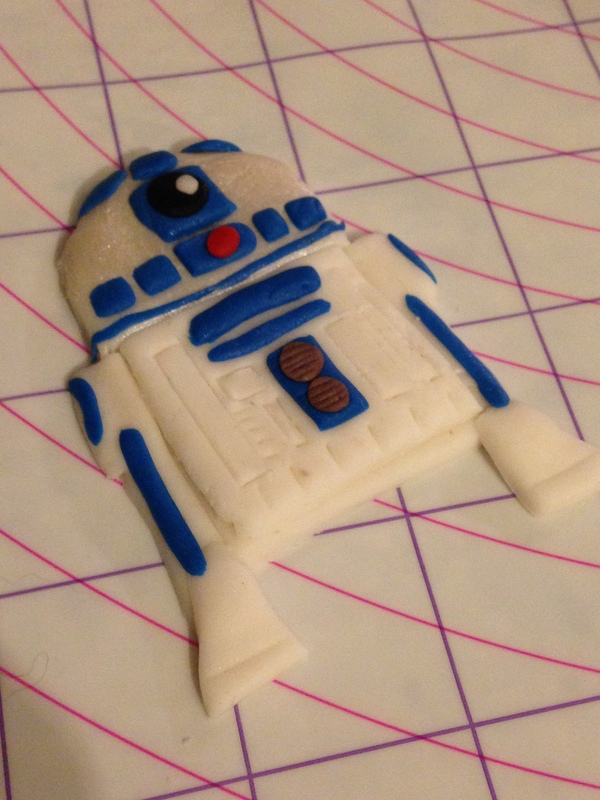 With a dome coloured with silver pearl dust, some strategically placed blue fondant, and a few indented lines, R2-D2 came alive to accompany C-3P0. If I had more time and room, I would’ve loved to create all the characters! The surface of the cake might not be anything to write home about, but I know one little girl who was very happy with her cake. One day, I’ll make a cake depicting the trench run scene, or a 3D ewok cake, or maybe a detailed Millennium Falcon cake; but until then, I’ll just keep training practicing. The R2-D2 is just too cute!